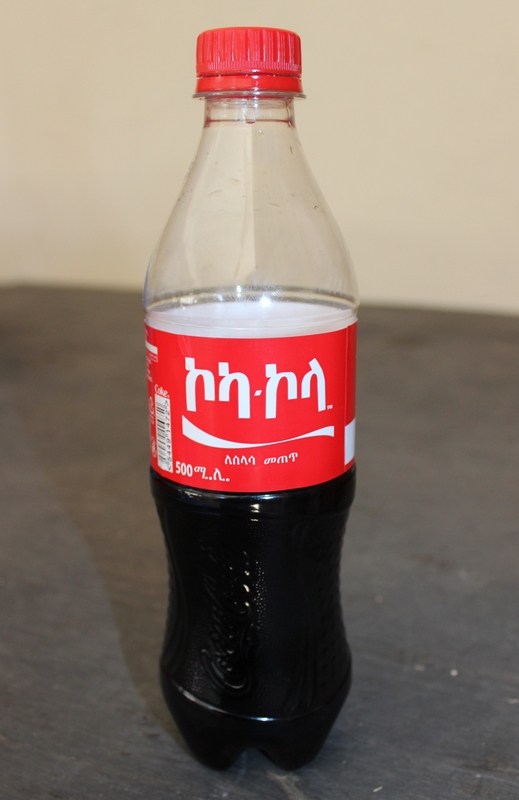 Coke is one of the few American brand names you see in Ethiopia. But it makes up for all the others with its ubiquity. I’m no big fan of soft drinks, and even less of irresponsible multinational corporations. Do you remember the Nestle boycott in the 70s and 80s? That company heartlessly and aggressively promoted its powdered baby formula in third world countries with bad water and high poverty. Since coming here I’ve heard similarly negative things about Coca-Cola. Alekka came home from her environmental science class last year with the disturbing information that Coke is promoted as a safer substitute for water in many rural Ethiopian communities where the water supply is contaminated. People in those communities are starting to suffer from diabetes and other illnesses as a result. They can’t get water, but they have plenty of Coke. Something is wrong with this scenario. And then there is the problem of all the water that Coca-Cola factories use. In many places in the world, there is simply not enough water to go around. India is one of those places, and there Coke is on a big campaign to restore its good name by creating schemes to make up for what it consumes. It’s probably too much to hope we’ll be seeing that in Ethiopia, where access to clean water is no less of an issue. But at least Coke here comes in glass bottles, which are washed and reused, right? So even if it’s using tons of water, and advertising to people who ought to have access to safe water instead, Coke isn’t promoting destruction of rainforests through aluminum mining, or adding to the non-biodegradable waste disposal problem with zillions of plastic bottles, is it? It wasn’t until a few months ago. 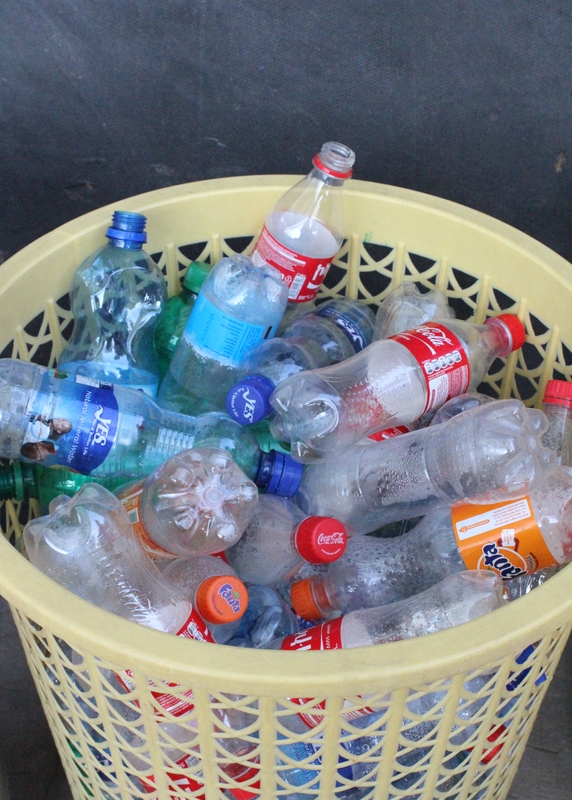 A news story on the radio reported that Coke in Ethiopia was going to start bottling in plastic containers “to better meet consumer needs.” Needs? Who needs Coke? 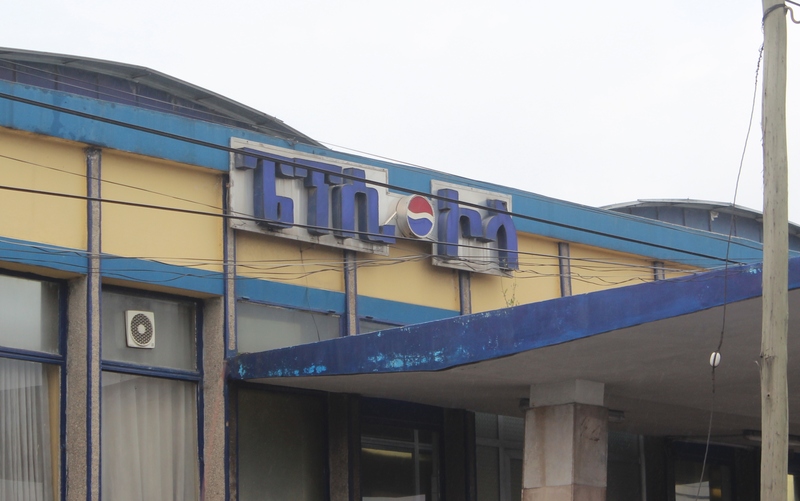 But almost immediately the city was plastered with signs, banners, and pennants promoting Coke in the new plastic bottle. Just what we needed. More trash. 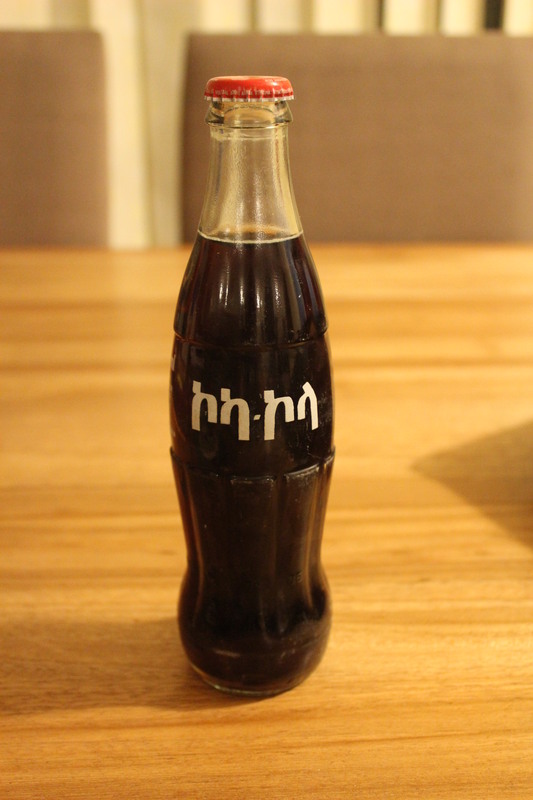 This entry was posted in Ethiopia and tagged Coca-Cola, Coke, environment, plastic bottles, water shortage. Bookmark the permalink. Pretty disgusting all right. In the USA, we’ve become the first nation to detect osteoporosis in teen-age women. Why? Because they consume more Cokes & Pepsis than water, and all that carbonic acid consumes their bones! The big money theft of ancient water rights is equally worrisome. I think it was the CEO of Nestle who was recently quoted as saying it was a “crazy idea” that access to pure water is a human right. Too often it seems like the biggest jerks are running the asylum.